Annual Saudi Heart Association Scientific Sessions in its 30th edition (SHA30) provide a rich and exciting scientific program that combines the newest updates in cardiovascular care, and highlights cutting edge technology employed in the diagnosis and management of cardiovascular diseases, along with local and regional scientific research. Number of joint scientific sessions between various SHA affiliated societies and Working Groups and International Societies and entities such as ESC, ACC, Houston Methodist, Cleveland Clinic, Gulf Heart Association, ASNC, and EACVI. 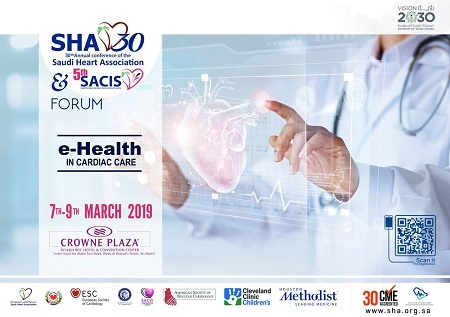 Overall, SHA30 will organize more than 64 scientific sessions in 17 tracks, and will host more than 200 top experts in Cardiovascular Medicine from six continents. In addition to the exchange of knowledge, the SHA conference provides a great forum for networking between Cardiovascular Healthcare Professionals.